Possibilities of Play with Theatre with children have no limit and teachers play the role to guide them and bring out their creativity. This workshop invites nursery and elementary school teachers to discover about ‘Play with Theatre’ approaches and learn our method to play with children using theatre. See the Japanese page for more details. 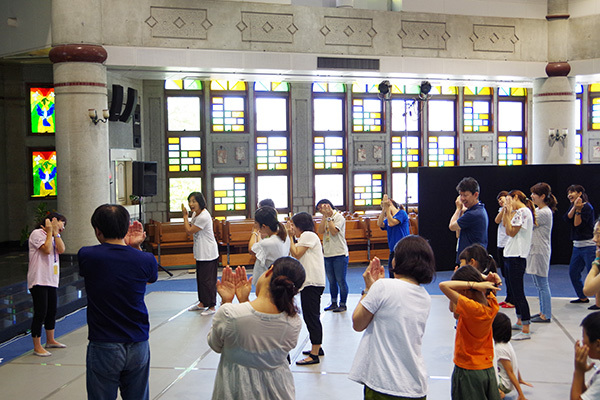 Japan Association of Theatre for Children and Young People 'Play with Theatre' Workshop in partnership with ricca ricca*festa.